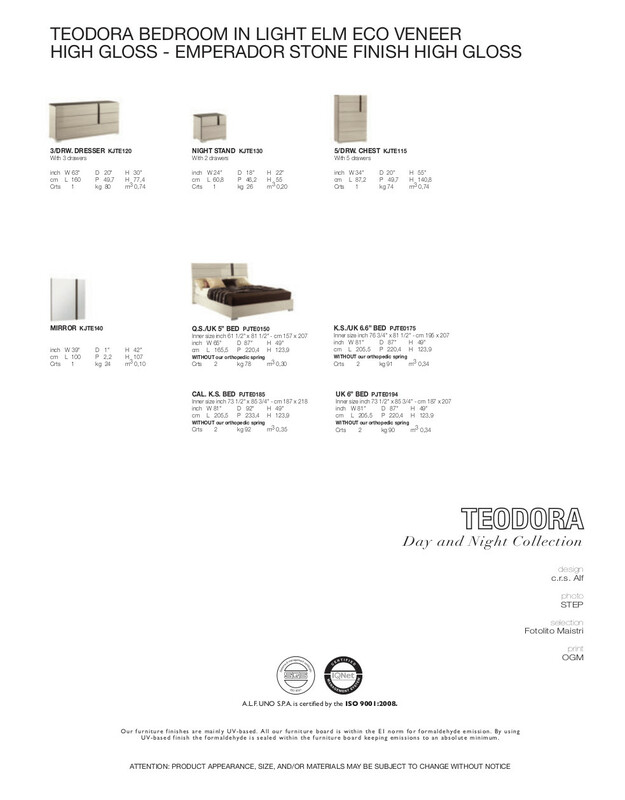 The Teodora bedroom set expresses its smooth undeviating design with a perception of lenient shapes to create a warm and appealing décor. The Teodora bedroom collection comes wrapped in Light Elm accented with Emporador stone to form a stylish look contrasting any other. W 39" x D 1" x H 42"